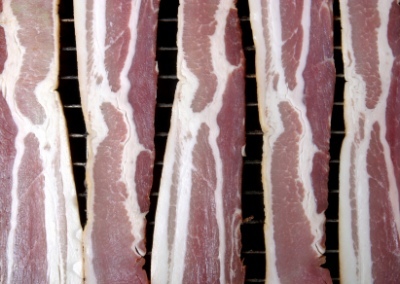 Unsmoked or traditionally smoked, flavourful smokey bacon.On pancakes with maple syrup?, on the fry up?, or cut up in a pasta sauce? Available in 454g (1lb) or 2.27kg (5lb) packs. 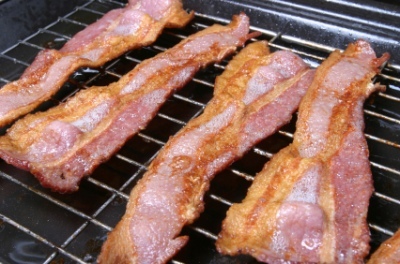 Pork 87%, Water, Salt, Preservatives (E252, E250), Antioxidant (E301).